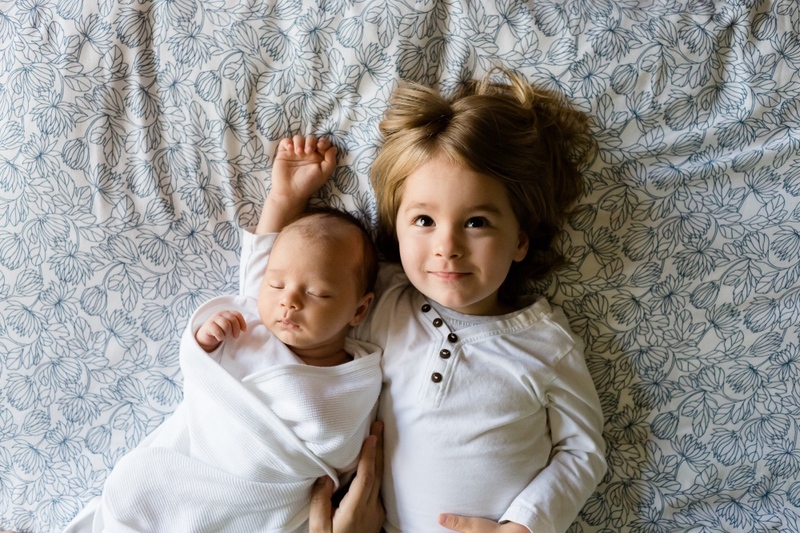 The most important thing parents can do to when preparing children for a new baby is ensure the older child feels safe and secure in love and importance in the family. Maintaining special one-on-one time with the older child after the birth is crucial to preventing insecurity, sadness, anger, and jealousy, which can manifest in aggression towards the baby or regression in developmental areas. Planning ahead to register for a special class to take with your toddler, or hiring a babysitter to watch the new baby for an hour so you can play one-on-one with your older child can go a long way in making them feel special and secure. Another idea is to make a daily routine that when your partner gets home, they take the baby so you can focus solely on your older son or daughter. One warning for preparing children for a new baby: don’t hire a babysitter to spend all their time with your older child while you spend time with baby because that is guaranteed to hurt feelings. Looking for more tips for your growing family? Check out one of our parenting classes and workshops.